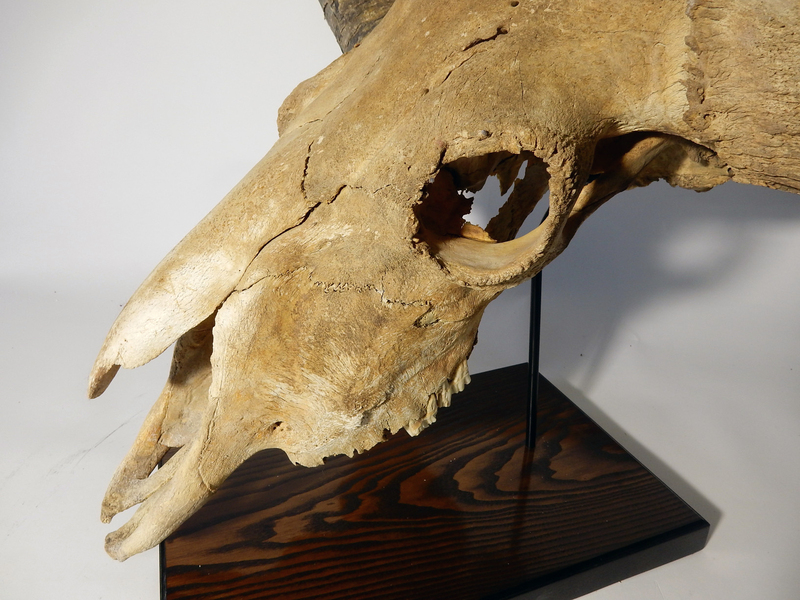 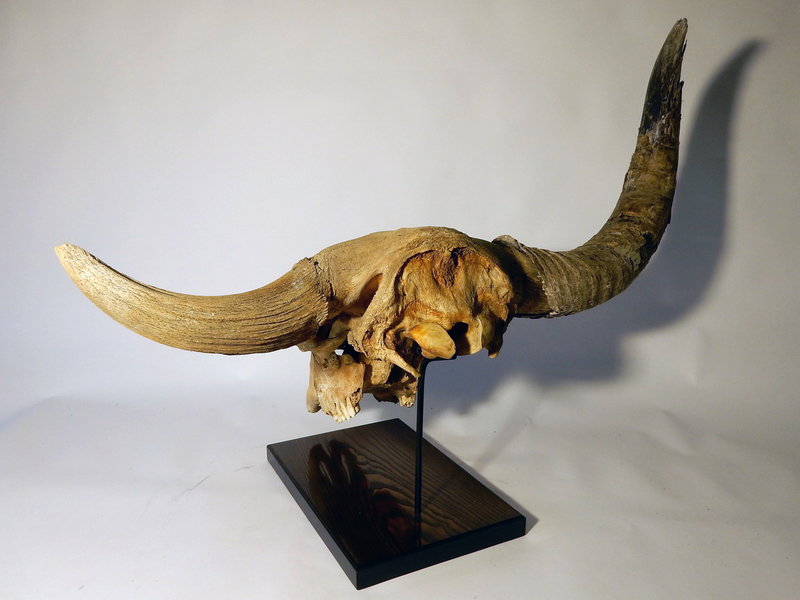 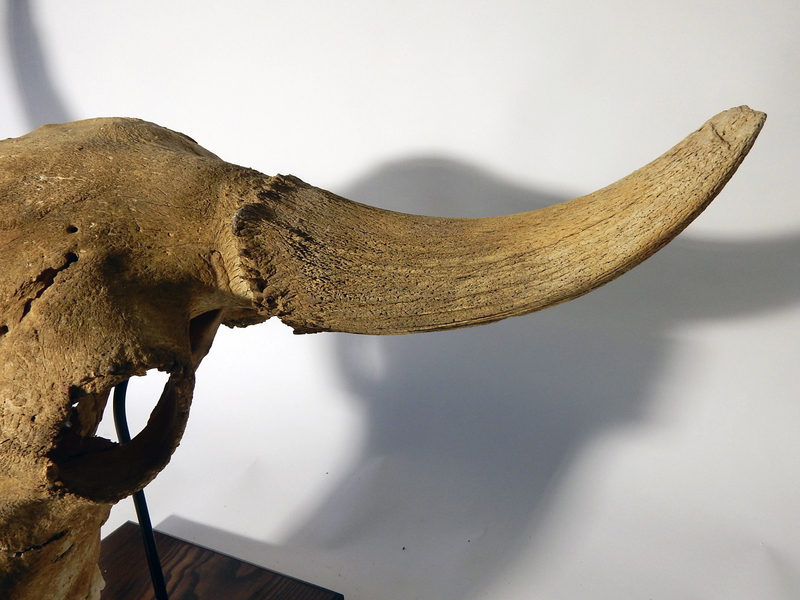 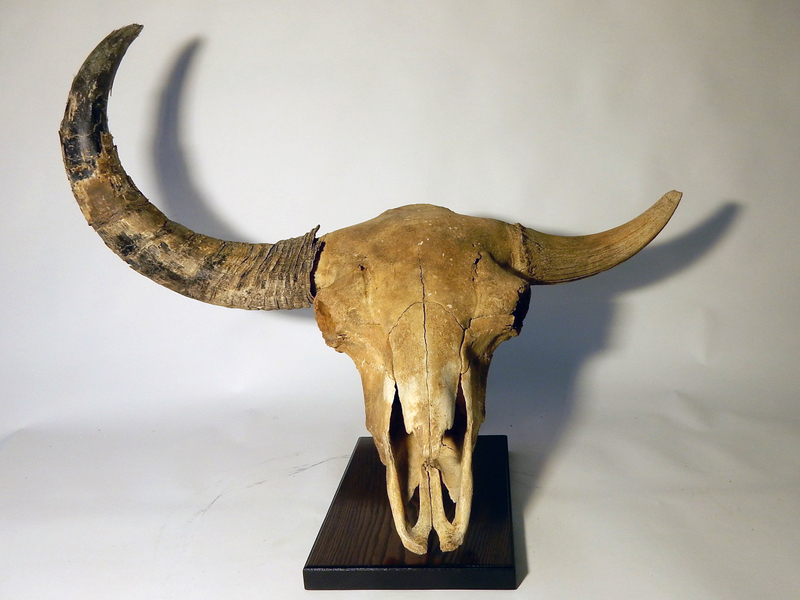 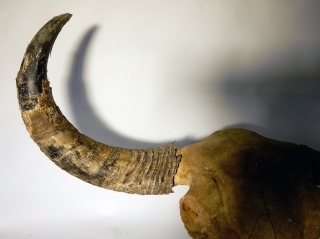 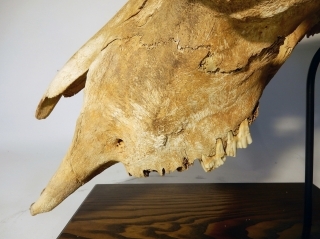 On offer is a truly magnificent and beautifully preserved skull of a Pleistocene Wisent, the predecessor of modern day American and European bison. This piece is complete with the enormous hornpits, and even one of the actual horns has survived (the right one) - these never survive on Wisent skulls found in Europe, but they survive in the Siberian permafrost. 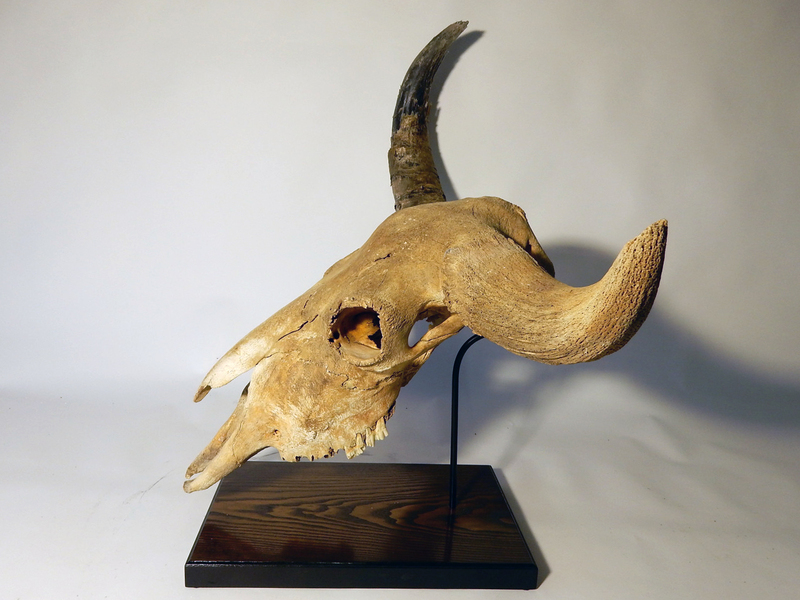 The other horn is a modern reproduction in resin. 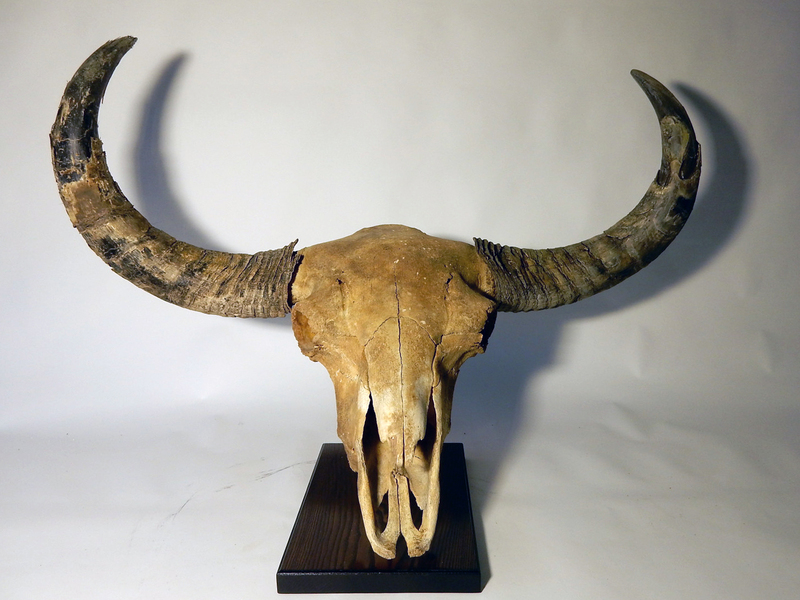 Stunning condition and fabulous item. 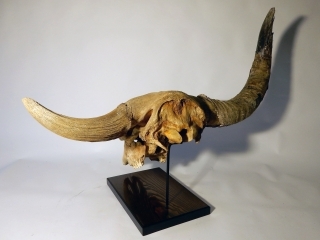 A remarkable item which will surely make for a wonderful display piece! 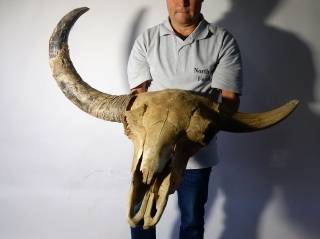 Truly museum quality and one of the best Wisent fossils we have ever had. Attactively presented on a custom-made stand with dark finish and ready to display. 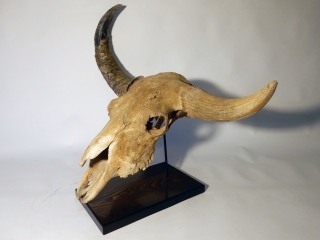 Shipping: priority crated shipping by Fedex, price on request depending on destination (generally in the region of $ 500).